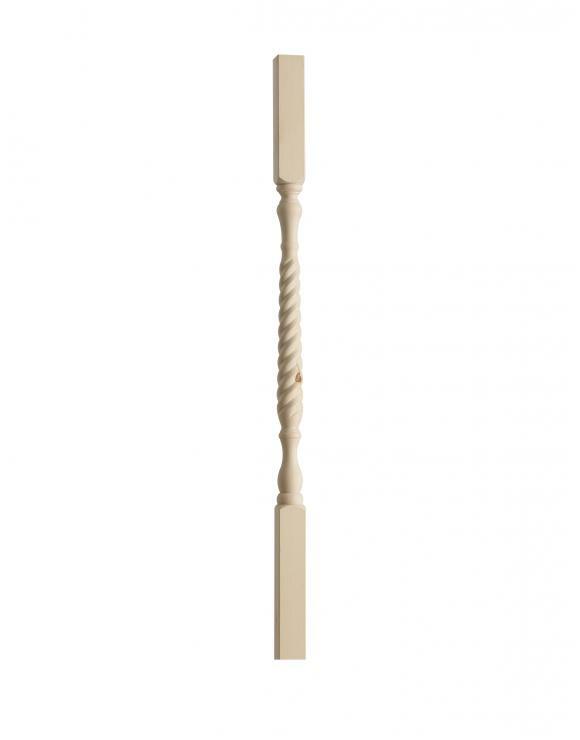 Barley Twist Spindles have tight twist and can be used with 41mm grooved handrails and base rails on the staircase or landing area. 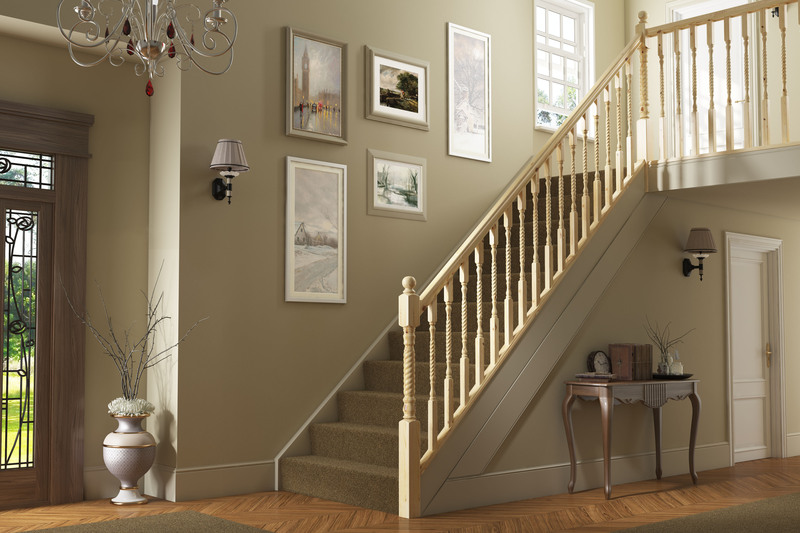 When fitting spindles to your stair case you must first find the angle of the stairs, this can be achieved using a sliding bevel or angle finder. Cut your spindles top and bottom to the right angle and length. 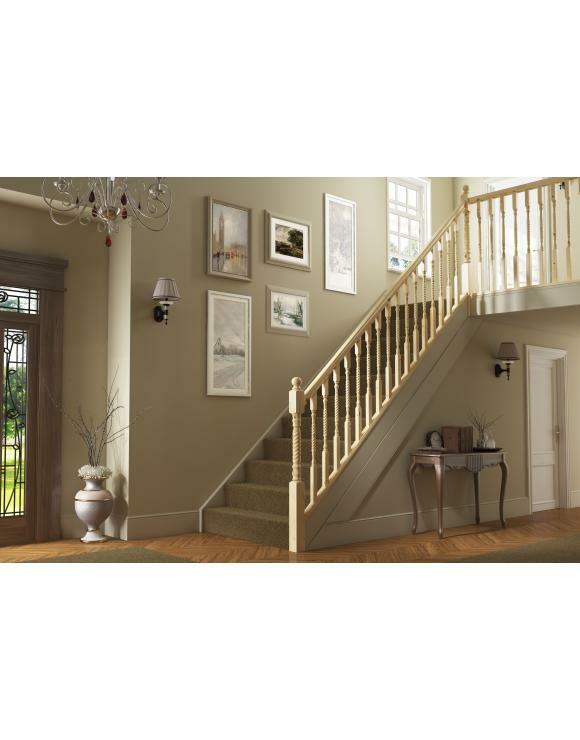 Try each spindle between the hand and base rail sliding it from the bottom of the staircase to the top. This will ensure any rail run-out will be allowed for. Once all of your spindles are cut you will need to cut your spindle spacers from the fillet strip provided in our rails. This is cut at the same angle as the stairs making sure that the spindles are spaced no more 99mm apart. Start at the bottom of the staircase and insert the first spacer followed by a spindle. 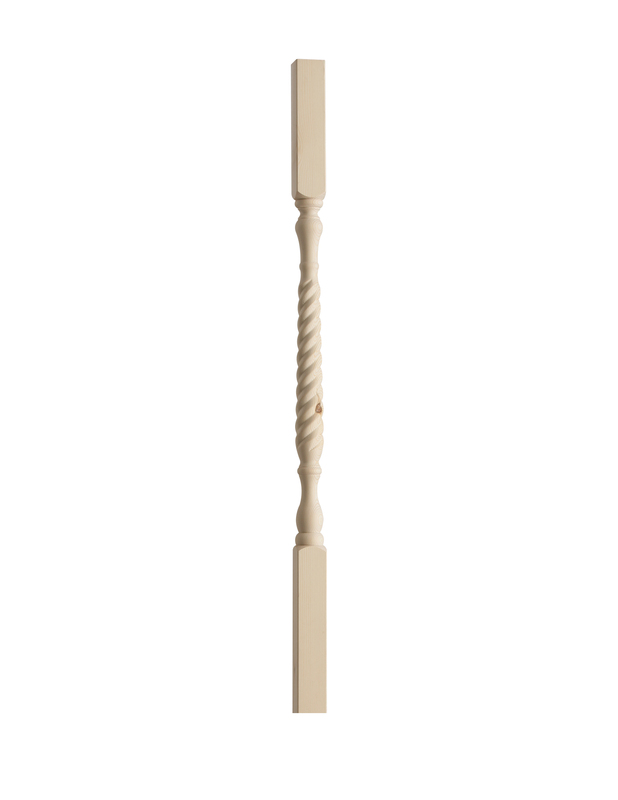 We suggest dry fitting all of your spindles and spacers before fixing into place then bed all spindles and spindle spacers on PVA wood adhesive. We recommend pinning the spindles in place, panel pins should be inserted below the level of the spindle spacer so the spacer will hide the head of the panel pin.